Welcome to the Bungalow Inn! Enter the doors of the Bungalow Inn, and you know you’re about to have a great meal. Maybe it’s our warm, cozy atmosphere–it just looks like a place that people enjoy having a meal with family or friends. It could also very well be the aroma that comes from our busy kitchen, making your stomach grumble. Most likely it’s the way you’re greeted when you come in the door–our friendly staff is always happy to see you. Bungalow Inn is the best place in Manistee to eat. We are a family-owned restaurant and have been serving great food since 1991. Our restaurant has been completely remodeled to reflect the warm casual dining experience everyone loves. You always get a generous portion at a reasonable price at the Bungalow Inn. It’s a good sign when you see the full parking lot, but the Bungalow Inn always has room for you! Our restaurant seats around 150 people comfortably, with a mixture of tables and cozy booths. We accept reservations for large groups of 10 or more people. Join us to watch your favorite sports team win the big game. 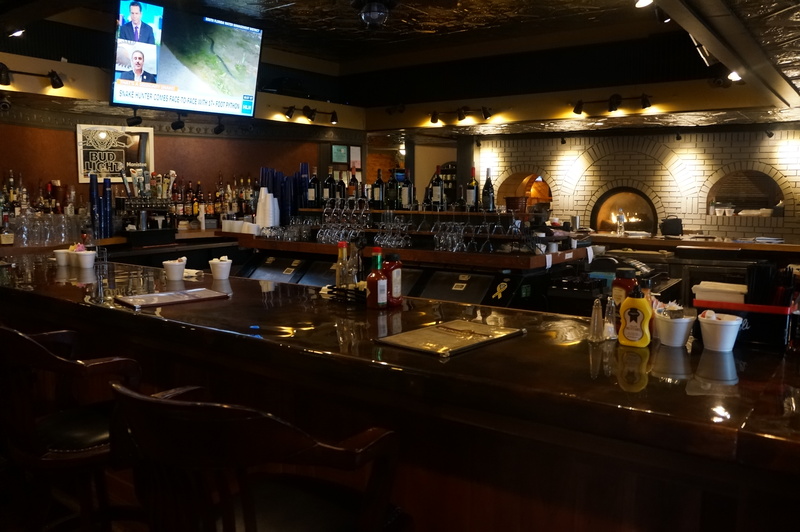 Take a seat at the bar and enjoy football, college basketball, and all your Michigan teams, like the Tigers, Lions, Pistons, and Redwings on our well placed, large screen TVs. Our bar is stocked with top shelf liquor, vast array of domestic and imported beer, and a large selection of wines from all over the world. You’re welcome to enjoy your meal at the bar with your friends and neighbors. The Bungalow Inn is open early for breakfast to get your day started right, serving all your favorites and fresh, strong coffee. For lunch or dinner, we have exactly what you crave. Our sandwiches are so good, and the steaks and prime rib are juicy, tender, and absolutely mouth watering. Try a gourmet burger, fresh seafood, or chicken basket, don’t forget our fish fry is the best around. Our entire menu is available for take-out and we even deliver (minimum 10 items). Choose the Bungalow Inn when you’re hosting your next large gathering. Our banquet area seats up to 80 guests and offers Wireless Internet, as well as two large LCD high definition TVs. It’s perfect for rehearsal dinners, corporate meetings, private holiday parties, baby showers or even funeral gatherings. Our friendly staff, comfortable atmosphere, and delicious food is the perfect combination for a successful event. And if you need outside catering, give Dave a call and he’ll discuss the menu with you. You know a restaurant is good by the awards they’ve received, and the Bungalow Inn has accumulated quite a few! The Manistee News Advocate has given the Bungalow Inn top prize for Best Prime Rib, Best Fish Fry, Best Hostess and Bartender, and Friendliest Service. Northern Express Awards has awarded the Bungalow Inn Best Gourmet Burger and Best Prime Rib. We don’t let our awards go to our heads, we still strive to prove that we have earned them every day! Wherever you are in the West Michigan area, it’s worth the drive to Manistee for a truly spectacular meal at the Bungalow Inn. You’ll come back…we guarantee it!